When we sat down and looked at the selection criteria, trying to come up with a plan for the remainder of the season, July 31st became the deadline. We had our fingers crossed, maybe I could race in T-town at the end of June (no). Or maybe in Japan in early July (no). Or maybe in China (no). And as the days crept closer, I became clear we needed to buckle down and just do it. 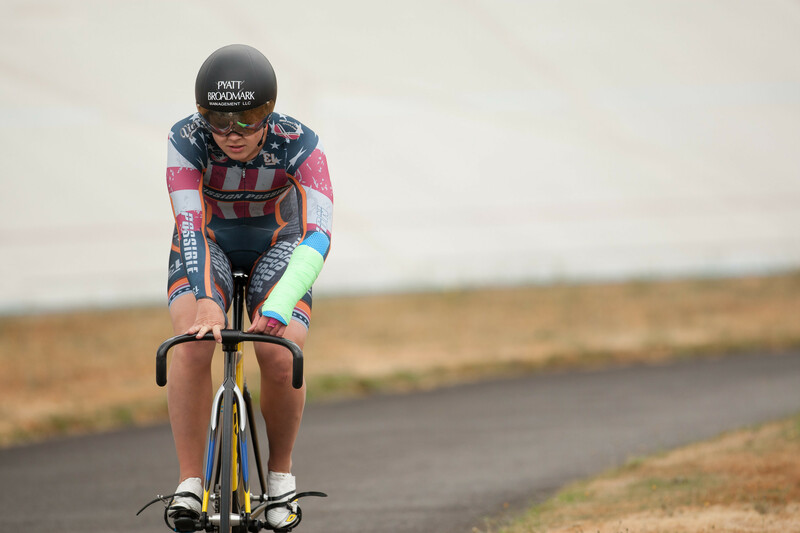 We settled on the UCI Class 3 Marymoor Grand Prix, where I was also going to have my last opportunity to represent my national championship titles from 2014. Andy and I began pushing the limits. He would ask, “Can you do that? Will you be able to do this?”, and I would reply, “I don’t know. 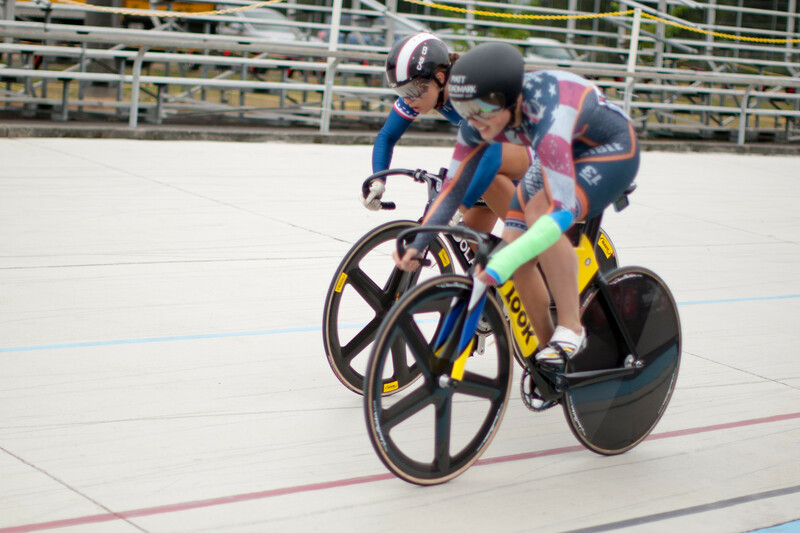 I just have to try.” With 5 days of continuous training under my belt, the track closing for 5 days, and Andy heading to Master’s Nationals, Dominic and I loaded up the car and drove all the way up to Seattle for the Marymoor Grand Prix. Eighteen solid hours alongside one of the chattiest, goofiest junior riders of the age, we were blessed to stay with a great host family, nestled amongst the dense woods and silence of Washington. A big change from the California look, but one I welcomed with open arms, after feeling trapped for months inside southern California, not able to do much at all. 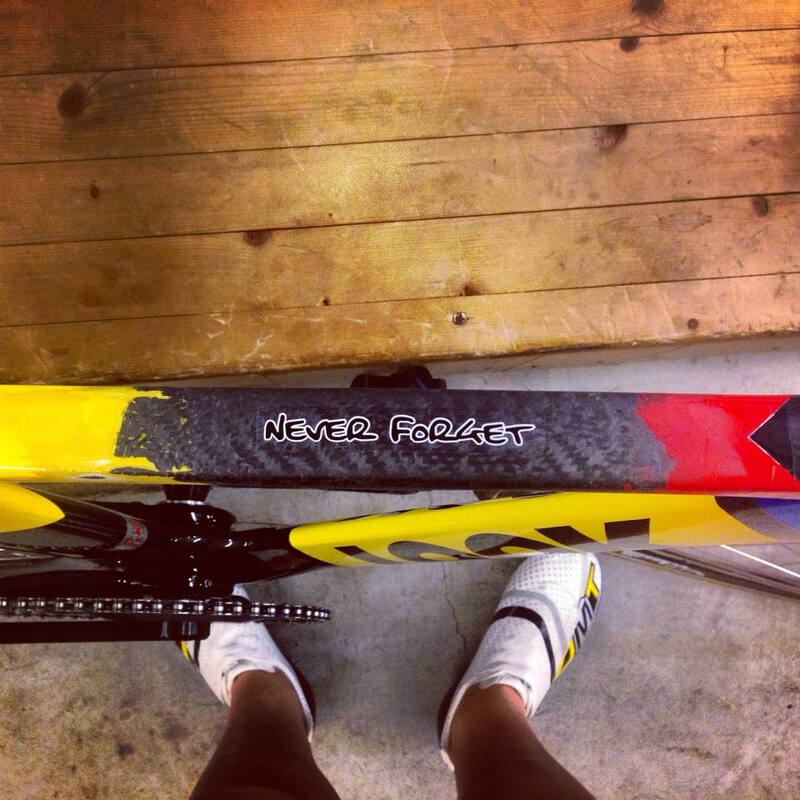 Along the drive up, I got an email from the owners at Vie 13, who had my kits ready to rock, displaying my signature national champ design, but mixed in with my new colors of Big Picture Cycling‘s Mission Possible. They were then sent direct, overnighted, and the next morning there was a knock on the host house door, with all the speedsuits an athlete would dream of having. Vie 13 has been a company I’ve been blessed to be part of for over a year now, and I’m always amazed at the kit designs, quality, and professionalism of their brand. They are a company that believes in me and what I do, 100%, and has been behind me all the way, especially since the crash. I love the look of these new kits, and couldn’t wait to get out on the track in them!! But the weather had other plans. “Rain, rain, go away…” was the tune of the weekend. On and off, on and off. As soon as the track dried, mother nature would bring back the moisture and dampen the surface. We became a cozy, close-knit community of track racers, huddled under tents that were lowered, and hiding from the collections of rain that would drench you if the wind blew just right and the tarp picked up. 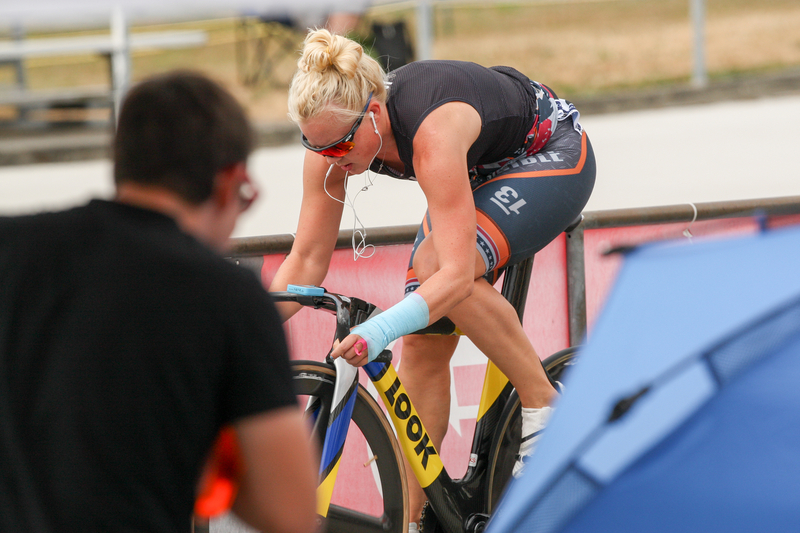 But warm ups began, and first up for the UCI elite women sprinters was the match sprint and flying 200m. I ended up qualifying first in the flying 200m. I wasn’t pleased with my time, nor was it anything close to what I had been riding the day before or even in my warm up effort. That was partially due to the fact that I didn’t pay enough attention and misunderstood the lap counts into the wind-in. I take full responsibility for that, and am a bit embarrassed to say the least. There’s no question that I had quite a bit more work to do before I’m competition ready at the international world cup level, but what we do have right now is some time, and that’s a good thing. Getting back into racing, I was nervous! I hadn’t had to line up for an event in months! Not since the 2015 World Championships last February! But once it began, it came back smoothly. I had fun again moving around on the track, and racing the tactically impressive Nissy Cobb in the semi-final, she did not give it to me easy! Then it started raining again. After hours and hours at the track, warming up, again and again….it was called. After starting our 200ms at 10am, we were going home at 9:30pm. I ate some tacos from the taco truck, we packed our things up, and we went home to an amazing meal, prepared for us by our host mom. The next morning we woke up and headed to the track. It was raining, foggy, and cold, just like the morning before. As soon as the track was dry, the women’s sprints were up first. Today I had to wear my splint while riding. I managed to fall while crossing the track, since the lines were obviously wet, and made the mistake of putting my hands out to catch my fall. Carrying rollers probably wasn’t a good idea, but they had to get into the track somehow.. Luckily, while racing, my mind goes in other directions and I didn’t even think twice about it. After a few months, you get used to having something holding your wrist stable. 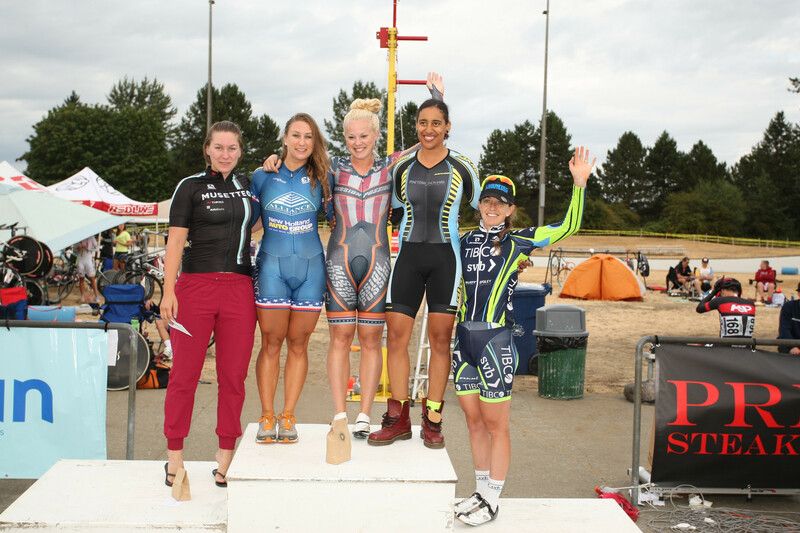 After two rides, I was happy to come away with my first Marymoor Grand Prix sprint title. But we weren’t finished there. It was now 12pm, and we had the keirin coming too. Since a huge storm was predicted to hit, all my applause goes out to Amara for making quick decisions and coming up with the game plan to squish all the UCI racing in ASAP. We watched the boys finish their sprint finals, and we lined up on the track. As we left the line, the rain came. We didn’t even make it 1/2 way around the track before it was called, and we were huddled back under the tents, waiting it out. The track then cleared, the brooms and blowers did their jobs, and we were racing. And I was so so so happy to come away with my 3rd of 3 Marymoor Keirin titles. There was a little drama with the motor bike crashing, but thankfully the driver was not injured in the process. In our sport there is no reassurance. There are few words besides our own individual hope that keeps us going each day. After a few months after an accident, those words fall short and rarely come, while you wait and see what the next move is going to be. The summer race season is over, nationals are coming up here shortly, and I’ll be sitting in the stands unable to defend my national titles. But going up to Marymoor was an amazing escape, the wins solidified my world cup qualifying eligibility, and it proved to be that despite only having 5 whole days under my belt, I was well on my way back. As I grow and change in this sport, my sponsors grow and change with me. The ones that have followed have loved being part of my team, have supported me unconditionally, and since the accident, have sent car packages, emails, and abundant support in helping me come back. They believe in me, my olympic dream, and they believe that I can do it. But it has also been shown in this time the sponsors that aren’t in it for me. The ones that like the winning image more than a fighting one. And that is ok. At the end of the day, as the athlete, I need to do what is best for me. And the team I have behind me has been a huge part of what has moved me forward. And I thank them all tremendously for that. So, whatever does come next, wherever I will be taken too, whatever incredible opportunities arise, I will never forget all these bumps and bruises along the way, I will never forget the support, encouragement, kind messages, generosity, and love. I’m very proud to be riding for Big Picture Cycling’s Mission Possible, as well as having the support of its surrounding sponsors, as well as my own. 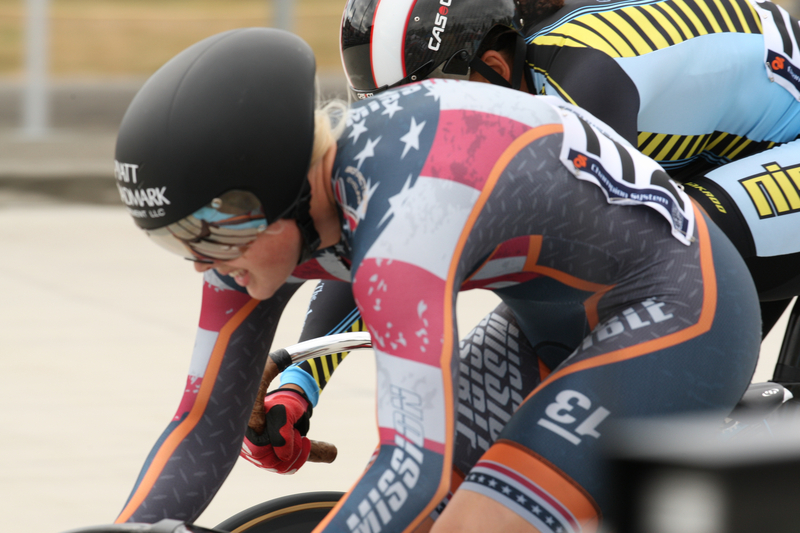 I’m very proud of the results I achieved at the UCI Marymoor Grand Prix, also part of the NTC. 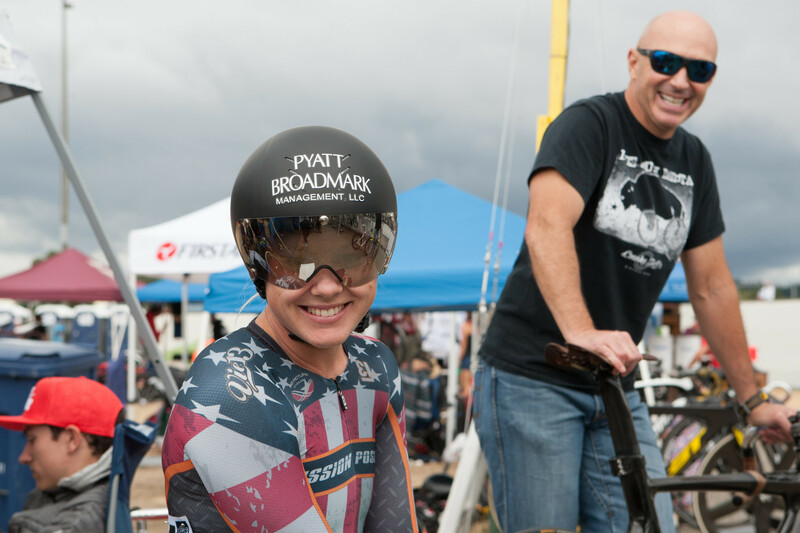 I’m excited to work with some junior athletes at the national championships this next week, and I’m looking forward to see what direction I turn next. Great to hear you continue to be a force, Missy! You are such a beautiful and strong inspiration. thank you for sharing your stories, please don’t stop writing and sharing your journey. You motivate a lot of people, don’t forget that!